The headline from the December 20, 1990 Detroit News demanded answers for angry Tigers fans. Why were the Detroit Tigers, under the leadership of team president and former Michigan head football coach Bo Schembechler, firing beloved radio announcer Ernie Harwell? A Detroit Free Press poll found that 75 percent of fans disapproved of the removal of Harwell and only eight percent supported it. Journalist Mark Sauer described Tigers’ blunder as the “biggest marketing disaster since the Edsel.” Tigers owner Tom Monaghan had to close two Domino’s franchises due to bomb threats. In early January 1991, WJR general manager Jim Long, who had been silent on Harwell’s firing, finally spoke up—in defense of Schembechler. He felt that Schembechler had unfairly taken the blame for the entire fiasco. Instead, Long claimed that Schembechler had convinced him not to fire Harwell immediately, but rather let him have one final season behind the microphone and ease him off into retirement with a nice raise. In the days and weeks after Harwell’s firing, discontent spread. Fans wrote letters to the editor, called into sports radio, and floated the idea of boycotting WJR, Domino’s, and the Tigers. Bumper stickers bearing the phrase “Bo Don’t Know Ernie” began appearing on cars in the greater Detroit area. When the Tigers arrived at spring training, a T-shirt shop across from the team’s facility sold out of t-shirts bearing the slogan. As the Harwell controversy raged, Tigers general manager Bill Lajoie announced his resignation on January 7, 1991. 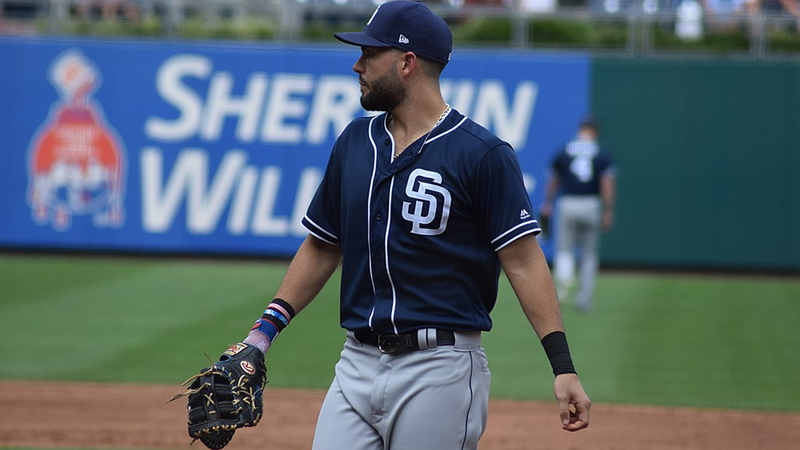 Lajoie claimed that he wanted to get back to his roots in scouting and pursue a “more relaxed lifestyle.” Lajoie said he would first take some time off before looking for a job with another team. Lajoie had chafed under Schembechler’s management style as the team reduced his control over baseball operations. Team chairman and chief executive officer Jim Campbell, the former team president and key adviser to Schembechler and team owner Tom Monaghan, had removed minor league operations from Lajoie’s responsibilities. Additionally, manager Sparky Anderson had veto power over Lajoie’s trades and roster construction. And Monaghan had low-balled him on a new contract. During the offseason, Schembechler allegedly threw a tantrum over one of Lajoie’s free agent signings and ordered him to cancel the deal. Lajoie followed orders and then submitted his resignation. Still reeling from the Harwell fiasco and Lajoie’s resignation—the Tigers waited months before hiring a new GM—Schembechler and Monaghan pushed forward on the most pressing issue for the future of the Tigers, replacing the decaying Tigers Stadium. On April 22, 1991, Schembechler delivered a luncheon speech to the Economic Club of Detroit. He called for the city and county to devise a plan by August 1 to replace the stadium. The speech was yet another blunder by Schembechler. His speech, filled with “arrogant bluster” as one reporter put it, rubbed many in the community the wrong way as Monaghan rejected calls to finance the stadium himself. A team that had just spent months alienating its fans probably should’ve been asking for forgiveness rather than a multi-million dollar handout. Local and state officials favored renovation of Tiger Stadium rather than investing hundreds of millions of dollars in public money in a new home for the Tigers. State senator John Kelly proposed legislation to ban the use of state bonds to pay for a new stadium. Kelly and fellow senator Phil Arthurhultz supported renovating the existing stadium. 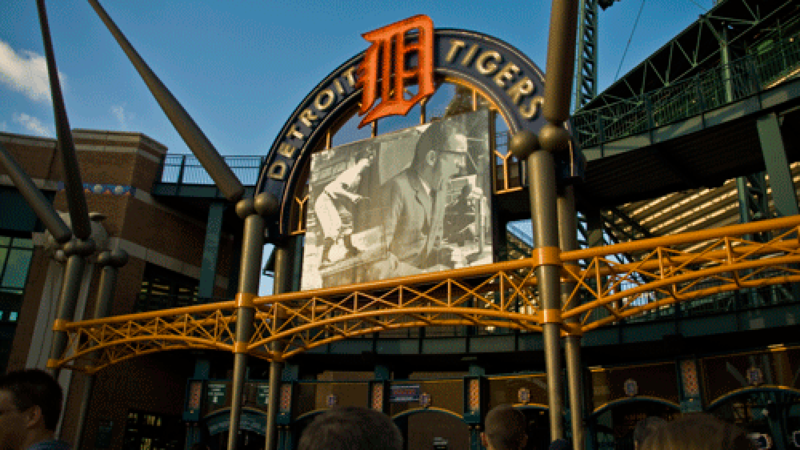 Wayne County executive Ed McNamara agreed that the team should consider fixing Tiger Stadium. On August 1, county and city officials met Schembechler’s deadline for a new stadium plan. The city and county plan called for a new downtown park on Woodward Avenue. The team, city, and county would create a five person stadium authority to oversee the project and split the cost of construction. Ownership of the stadium would rest with the county until the debt on the stadium had been paid off. Detroit voters would have to approve $200 million in bonds during an election in March 1992. If Monaghan and Ilitch weren’t rivals, they were certainly competitors whose lives had followed similar tracks. Both men were Michigan natives, served in the Marine Corps, and began their respective pizza empires in 1959. In the early 1980s, they each purchased one of Detroit’s professional sports teams: Ilitch bought the Detroit Red Wings in 1982, and Monaghan the Tigers in 1983. By the early 1990s, they had taken divergent paths. Ilitch, headquartered at the Fox Theatre downtown, remained at the head of Little Caesars and engaged in numerous local charitable activities. Most famously, he once paid for the rent of Rosa Parks after she was beaten and robbed in her home. He won support from Tigers fans by bringing back Ernie Harwell after the 1992 season. Monaghan, headquartered at Domino’s Farms in Ann Arbor, had stepped down from running Domino’s in 1989 to focus on running the Tigers and his religious activism. In the 1980s, Monaghan had embraced a conservative interpretation of Catholicism that viewed the reforms of the Second Vatican Council as too liberal. He became an outspoken anti-abortion advocate, earning the ire of the National Organization for Women when he attacked the Michigan legislature for allowing public money to be used for abortions. He wanted to use his fortune to fund his charitable efforts, including the founding of a conservative Catholic law school in Ann Arbor and a planned community in Florida that would reflect his conservative Catholic values. The early 1990s, however, were not kind to Monaghan’s businesses. In 1990, the club reportedly lost $2.2 million, with Schembechler and Monaghan blaming the losses on the poor condition of Tiger Stadium. In July 1992, Schembechler blamed the team’s financial woes on the collusion settlement. He said, “’Before I even started, I’m so far in the hole I can’t even get out of it. You’re not going to make any money when somebody takes $12 million. But even with that, we’ve made it through.” That summer the team borrowed $5 million against their future television revenue just to meet payroll. Even worse for Monaghan, Domino’s business had suffered without his leadership. In March 1991, he briefly considering selling the flagging pizza business. Instead, he re-devoted himself to pizza and began to lay the groundwork for selling the Tigers. By the fall of 1991, stories of potential offers for the Tigers appeared in local papers. Who would buy the team became a running story. In October 1991, Monaghan rejected an offer from a group of investors for $50 million for 50 percent of the team that would also have come with $60 million for a renovation of Tiger stadium. In February 1992, Monaghan considered an offer from Edsel Ford II, president of Ford Motor Company. Other rumored purchasers included Ilitch and Lansing businessman Joel Ferguson. A March 1992 referendum in Detroit ended Monaghan and Schembechler’s efforts to build a new stadium and cemented Monaghan’s desire to sell the Tigers. Sixty-three percent of voters rejected a measure to allow city monies to be used for a new stadium. On August 3, 1992, Monaghan finally put everyone out of their misery, firing Schembechler and Tigers CEO Jim Campbell via fax. A few days later Monaghan completed the sale of the Tigers to Mike Ilitch, who succeeded where Monaghan and Schembechler failed—building a new stadium on the Woodward Avenue site. The ridiculous quickly became reality as Schembechler filed suit against Monaghan and the Tigers. While Schembechler had never signed a written contract, he did have some evidence to support his case—a napkin. In March 1994, a Wayne County judge ruled that the napkin did not constitute a contract and two months later, the parties settled the case on the eve of trial. In the end, Bo knew one thing—how to alienate nearly everyone he came across, from school teachers to government officials, from general managers to fringe prospects, and a Hall of Fame broadcaster and the fans who adored him. Alan Adler, Associated Press, “Untitled,” August 22, 1991. Associated Press, “Bo’s Napkin Is Not Legal,” Match 6, 1994. Associated Press, “Phonies targeted in bill,” April 24, 1991. Associated Press, “Untitled,” August 4, 1991. Associated Press, “Untitled,” January 7, 1991. Associated Press, “Untitled,” October 15, 1991. Bo Schembechler and John U. Bacon, Bo’s Lasting Lessons: The Legendary Coach Teaches the Timeless Fundamentals of Leadership (New York: Business Plus, 2007). Brian Manzullo, Detroit Free Press, “Did you know? Mike Ilitch once paid Rosa Parks’ rent,” February 11, 2017. Chuck Johnson, USA Today, “Troubles have Tigers by the tail,” July 10, 1992. Financial News, “Court Dismisses Schembechler Suit Against Fetzer,” May 3, 1994. Gordon Edes, South Florida Sun-Sentinel, “Pizza deal comes with a topping of disgrace,” August 9, 1992. Harry Atkins, Associated Press, “Untitled,” December 19, 1990. Harry Atkins, Associated Press, “Untitled,” August 3, 1992. Harry Atkins, Associated Press, “Untitled,” February 17, 1991. Harry Atkins, Associated Press, “Untitled,” March 21, 1992. James R, Campbell, United Press International, “Detroit officials form stadium coalition,” August 1, 1991. Jean Halliday, Crain’s Detroit Business, “Challenge to Bo’s Suit Starts Friday,” July 26, 1993. Jeff Hasen, United Press International, “Schembechler joins ABC,” August 7, 1991. Joe Strauss, Atlanta Journal and Constitution, “Tiger trials behind as Lajoie joins Braves,” March 17, 1991. Kevin Allen, USA Today, “Fans, peers, decry Harwell’s departure,” December 20, 1990. Kevin Allen, USA Today, “Schembechler says napkin holds promise,” August 7, 1990. Leonard Shapiro, Washington Post, “When the Half Ends, Squeeze Play Starts,” November 15, 1991. Mark Sauer, San Diego Union-Tribune, “Baseball losing link to the past,” January 5, 1991. Marty York, The Globe and Mail, “Schembechler’s efforts changing Tigers stripes,” January 30, 1991. Palm Beach Post, “Schembechler Sets Stadium Plan Deadline,” April 23, 1991. Peter J. Boyer, The New Yorker, “The Deliverer,” February 11, 2007. PR Newswire Association, “Greater Detroit Chamber of Commerce Supports Bo,” April 25, 1991. PR Newswire Association, “Tiger Stadium Fan Club Invites Bo to Meeting,” April 25, 1991. Prentis Rogers, Atlanta Journal and Constitution, “CBS drops the ball on telecast,” September 16, 1991. Rick Hummel, St. Louis Post-Dispatch, “Smiley, Landrum deals put Pirates in mutinous mood,” March 22, 1992. Ron Lesko, Associated Press, “Untitled,” January 7, 1991. Sheryl James, St. Petersburg Times, “Tigers fans are growling over the loss of their Voice,” December 22, 1990. Stuart Elliott, USA Today, “Domino’s tops Monaghan’s priorities,” April 19, 1991. United Press International, “Domino’s Pizza founder said close to selling Tigers,” January 14, 1992. United Press International, “Sports Digest,” March 8, 1991. Interesting read. Thank you. I recall the Harwell firing, but not the other missteps. I had no idea Schembechler worked for the Tigers. Ooof, I had forgotten what a horror show the early 90s Tigers were, what a great recap on a turbulent few years! Loved the story! Thanks Chris!